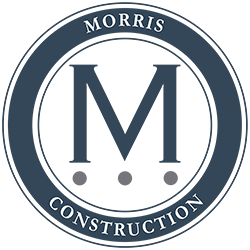 Morris Construction is a full-service custom homebuilder and residential general contractor in Charleston, SC. We specialize in historic renovation, home restoration services, kitchen and bath remodels, room additions, and new construction as well as custom homes. With contemporary sensibility blended with a strong appreciation for the existing environment, we build functional, beautiful homes that maintain the integrity of the surroundings. Well versed with the building department, Charleston Board of Architectural Review (BAR), private community and neighborhood architectural boards, zoning board and city engineers, we handle all stages of plan approvals and permitting properly and efficiently, relieving our clients of responsibility and stress. We have a reputation for maintaining excellent working relationships with clients and subcontractors, plus we manage projects effectively, ensuring all parties understand and share the same expectations for the final product. "Buz Morris brings experience, vision, attention to detail and the ability to relate to all involved in the project in a manner that exhibits his true respect for their particular skill set. Buz understands that he alone cannot bring to reality the clients desired end result. He listens to the client and all who are helping to bring success to the project, thus, making sure practicality and structural integrity is not sacrificed, but is an integral part of the overall plan." "I have worked with Morris Construction on a handful of projects in the past couple of years and each time find that Buz is very easy to work with and extremely knowledgeable. Two of those projects were commercial renovations of 1970’s buildings. Buz’s vision gave them an updated, classy look that fits with the Lowcounty’s landscape. I look forward to working with Morris Construction on future projects." "Morris Construction was a tremendous help to us with our home renovation and addition. Buz Morris listened to our concerns and produced creative solutions to the functional and aesthetic issues. He was easy to work with, stayed within budget and timely with deadlines. We would highly recommend he and his firm to anyone requiring the needs of an Builder." "Buz Morris is a pleasure to do business with. He has great ideas and is efficient, watches costs and works well with contractors. It is nice to have a bright, practical builder available to do business with in the Charleston area." "I worked on a complete house renovation with Buz. I was impressed with his style and vision for the house. His attention to detail was unparalled. He was always willing and ready to explain every detail. Keeping the integrity of the house intact but with a flair for modern timelessness was very important to him. It was a fun project and I enjoyed working with him." "My objective was pretty clear: completely re-design and build my home in six months…on time and on budget. With the confidence of a true professional, Buz agreed to take on that goal. He delivered. He’s somewhat of a spacial magician. I’d recommend him without reservation." "Working with Buz Morris has been a delightful experience. He is able to accomplish much in navigating the Byzantine workings of Charleston’s Zoning and BAR regulations. In addition, his creativity and insight into the sensitive renovation of historically significant properties is both practical and aesthetically pleasing. I would highly recommend Morris Construction to anyone that contemplates renovations in Charleston."